The Indian hemp plant (from which cannabis drugs like marijuana and hashish are made) was grown for use as a hallucinogen more than 2,000 years ago. The amount of THC in the hemp plant determines the strength of the drug. 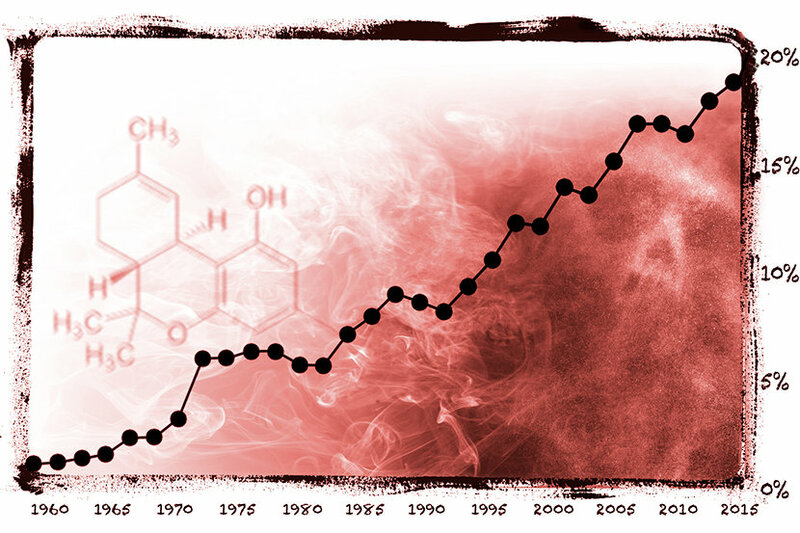 The amount of THC found in marijuana is not consistent, and the level of THC has increased steadily. The more THC, the more psychoactive the drug and the higher the potential for abuse, addiction, and other harmful effects. Is smoking a joint the same as drinking alcohol? Alcohol consists of one substance only: ethanol. 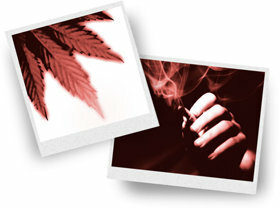 Marijuana contains more than 400 known chemicals, including the same cancer-causing substances found in tobacco smoke. Unlike cigarette smokers, pot smokers tend to inhale deeply and hold the smoke as long as possible to increase the effect of the drug, worsening the damage to the lungs. THC damages the immune system. Alcohol does not. There is no intention here to minimize the dangers of alcohol abuse, which can be equally harmful. Users, however, need to be aware that the chemicals in marijuana, some of them cancer-causing, remain in the body long after the drug is taken.